Website: Visit the CAC on Facebook! 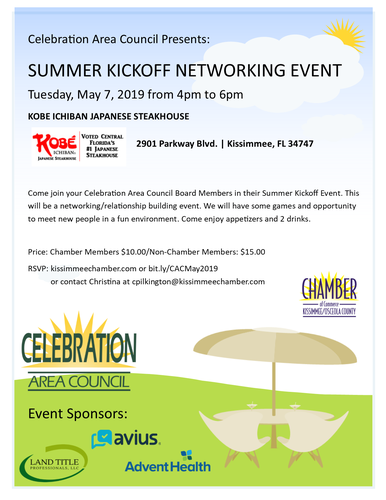 Come join your Celebration Area Council Board Members in their Summer Kickoff Event. This will be a networking/relationship building event. We will have some games and opportunity to meet new people in a fun environment. Admission includes appetizers and two drink tickets.